You are here: Home / Food / Happy Birthday BF! It’s the BF’s birthday today, so I made sourdough waffles for him for breakfast. He helped with the batter, but I’d like to say that the waffle success was because of my magical sourdough starter that’s still going strong. I haven’t done a tomato plant update for a while, but it’s still growing fast. 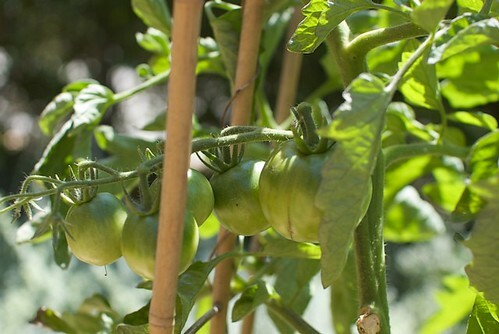 More and more little tomatoes are popping up, but the ones that are already there don’t seem to be ripening fast enough. Maybe I’m just being too impatient. I’m already fantasizing about slices of fresh, ripe tomatoes topped with burrata from Gioia, a drizzle of olive oil, and a dash of salt and pepper. Based on this recipe, only with acidulated soy milk instead of buttermilk and egg replacer (potato starch / tapioca starch) replacing one of the 2 eggs (still one egg this time). This is the third or fourth time we made them, and I think we nailed it this time. They still get soggy a little more quickly than I’d like, though. 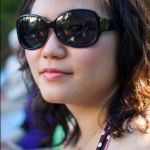 When they first come out, they’re so airy and crisp. 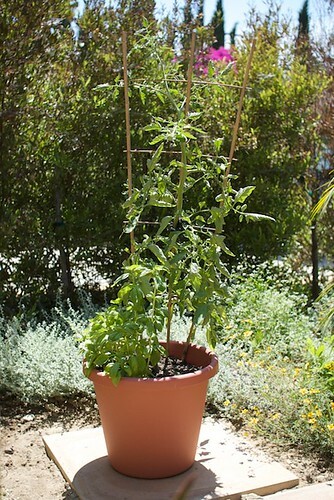 i hope my tomato plant does as well….i’m hoping! 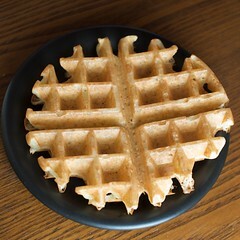 Ooh I never knew there was such thing as a sourdough waffle.